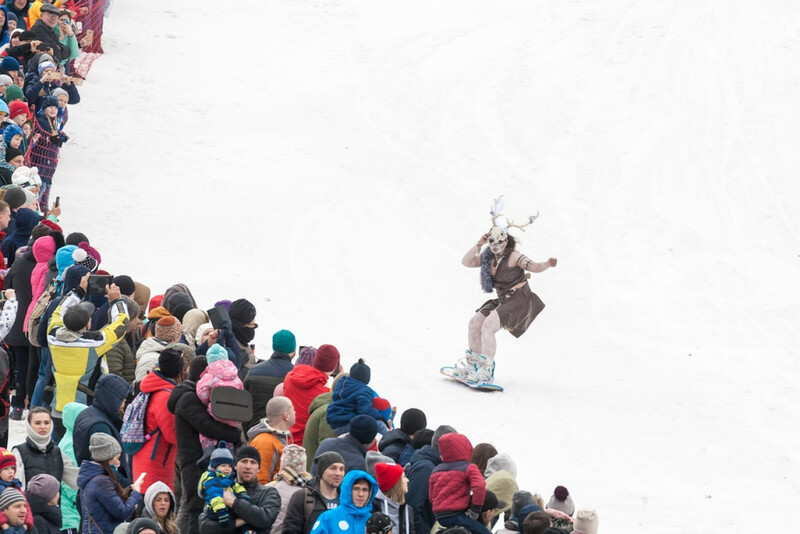 The most creatively costumed skiers and snowboarders in Siberia took to the slopes one last time at the annual Gornoluzhnik event in Krasnoyarsk on Sunday. 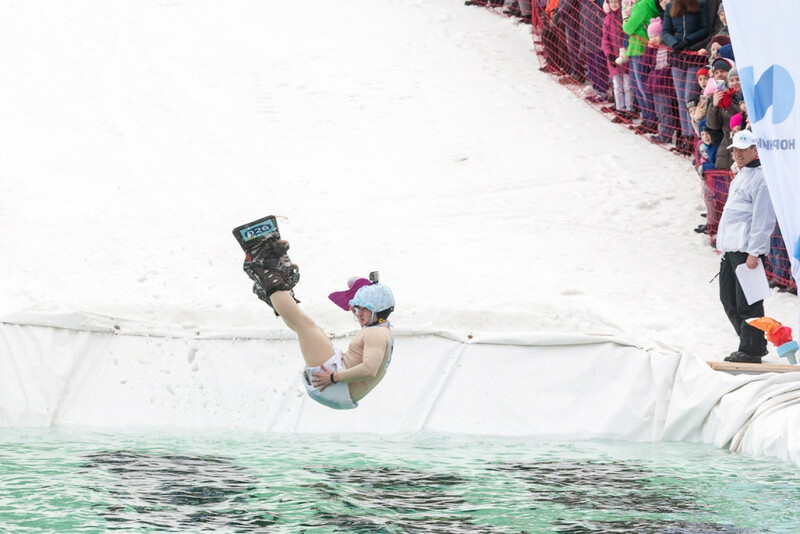 The fun and games mark the end of the ski season and the start of warmer weather. 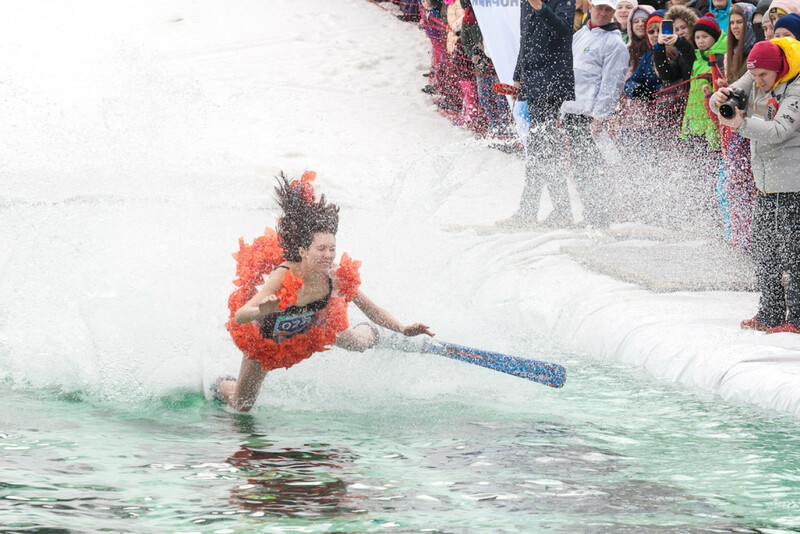 The competitors are required to clear a 25-meter pool of water at the bottom of the ski slope. 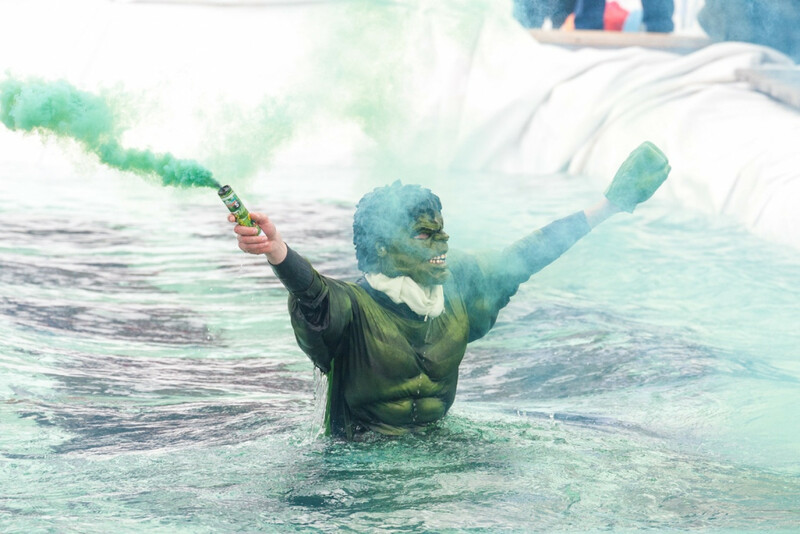 Hopefully, participants will have gained enough momentum to avoid an icy dip – and to avoid ruining their colorful costumes. 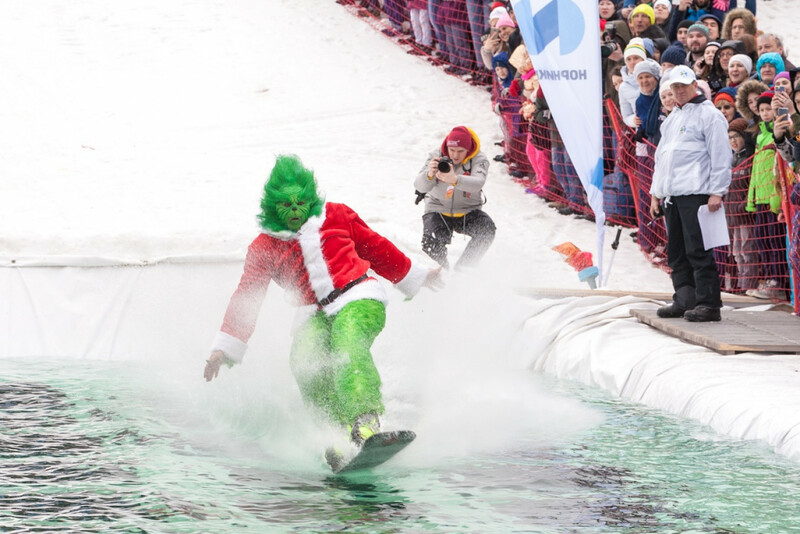 The Grinch flies unfazed across the 25 meters of icy cold water. 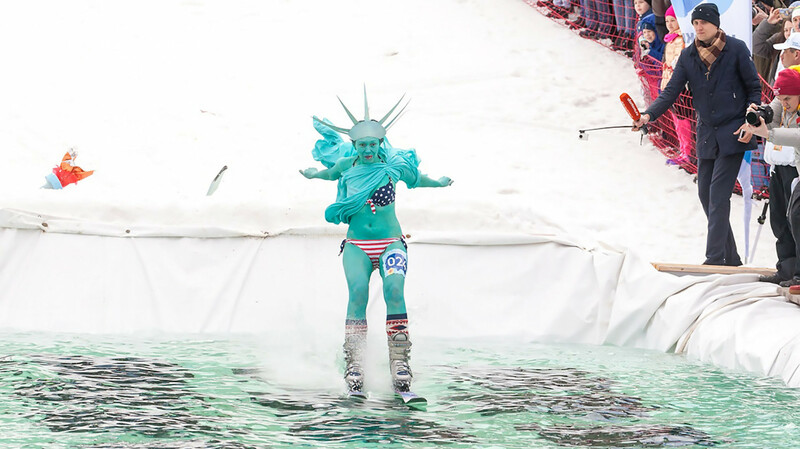 The Statue of Liberty potentially trapped in the pool's icy embrace. 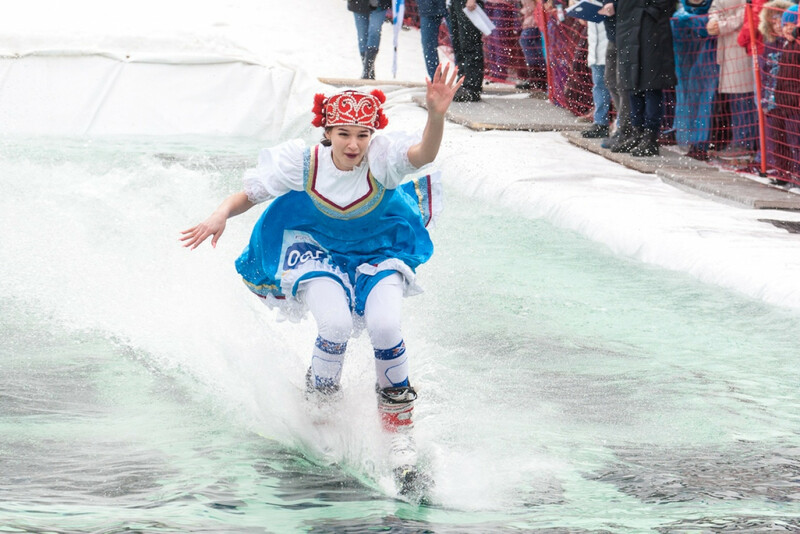 Traditional dress meets Krasnoyarsk's new ski tradition. 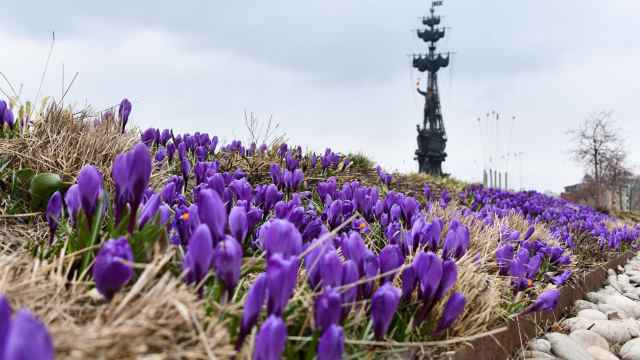 A graceful Easter bunny turns up just in time. 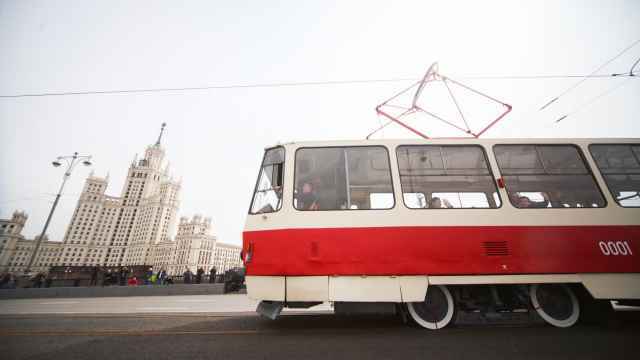 Awkward antics for The Fifth Element's Plavalaguna. 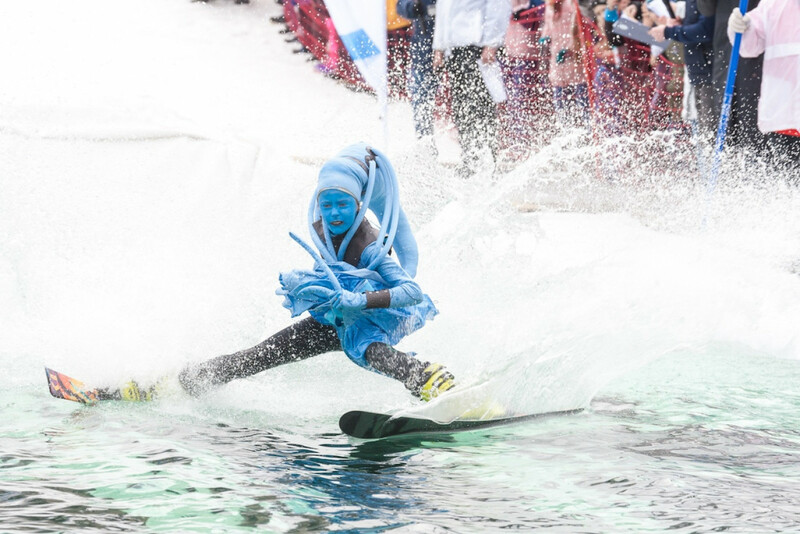 Snowboarding ability and costume creativity are both under scrutiny here. 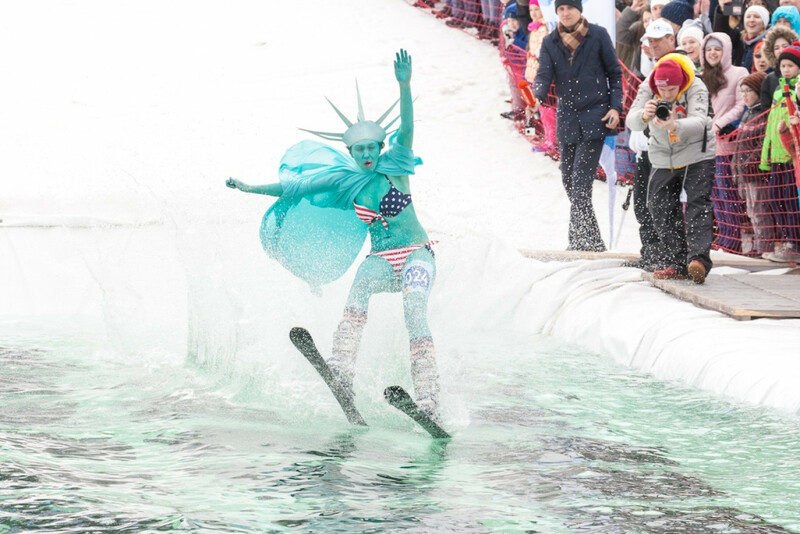 He may have landed in ice-cold water, but he still looks great. 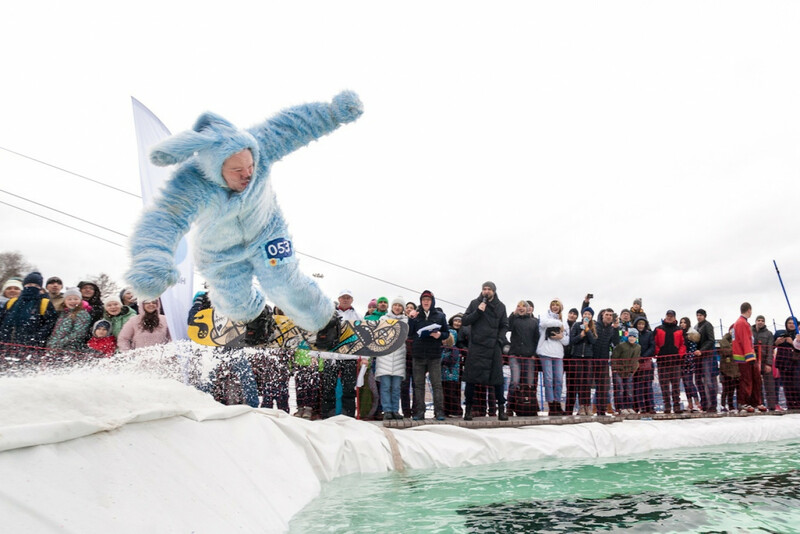 A big baby flops into the water for a chilly bath time.